On this page you can free download PDF manuals for Sailor outboard motors. 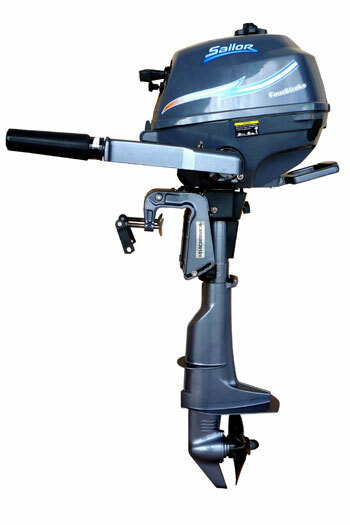 Sailor outboard motors are typical Chinese-made engines. Almost certainly they are replicas of American or Japanese engines. True, it is not known for certain which models they copy. Sailor is one of the oldest companies in its market segment. Over the years, it honors the tradition of motor-building and does not change its principles of maintaining a stable price with an ever-increasing quality. if you have planned a long journey, then you can connect a fuel tank of greater than usual capacity to the motor. Sailor engines - not the noisiest engines. But for the push-pull models characterized by sensitive vibration. A little less vibration in motors with a four-cycle operation. But the range of four-stroke engines is very limited. The manufacturer focuses on two-stroke engines. Exhaust gas exhaust does not occur through the screw, but through the nozzle, which is located above the screw. Therefore, when swimming in shallow water, the exhaust may go not into the water, but to the surface. This may increase the noise of the engine. There is a certain advantage of Sailor outboard motors, due to the unpretentiousness to the quality of gasoline. For those realities in which we live, when gasoline is not always of high quality, this property is very useful. The fuel system works fine even on gasoline of not very good quality. True, there is soot on the candles.